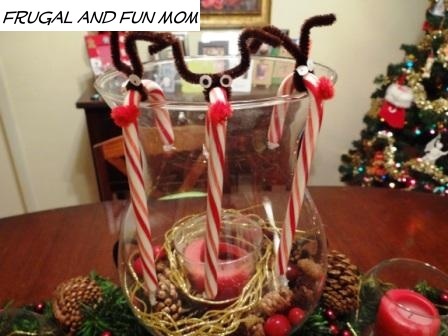 My husband showed up with candy canes the other day, and I remembered how much fun it was to create reindeer candy canes when I was a little girl. I told my kids about it, and they were really interested in making them as decorations. 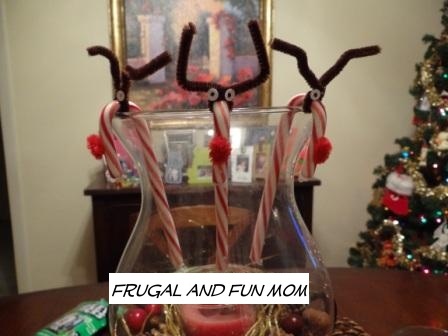 There are different ways to create these, but I am a firm believer in using what you have (frugal mind). 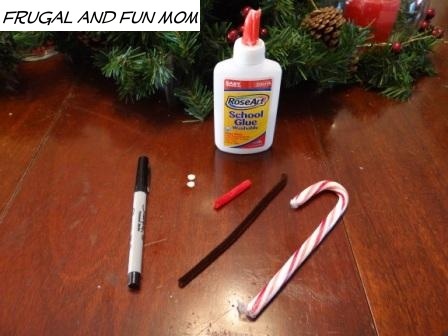 Also, you can make them on the hook of the candy cane or on the back. We did both. 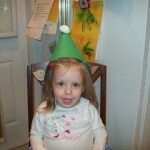 You can also use pre-made wiggle eyes and red poms poms for the nose. 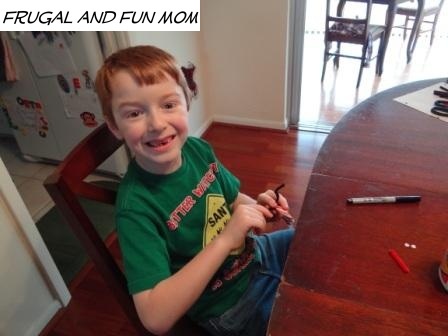 To make these, I cut a brown pipe cleaner in half, twisted the half around the top of the candy cane, and formed that into antlers. I then cut a small piece of the red pipe cleaner off, formed that into a small circle, and glued it on as the nose. Finally, I used the hole punch to make 2 eyes, I drew black circles in the middle of each, and glued those on the base of the antlers. I then hung it up to dry. This definitely brings back memories for me. I hope you and your family have fun creating it and make new special memories together. 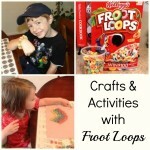 These are so cute and perfect for me to make with my niece this weekend. thanks. Super cute! Love these! 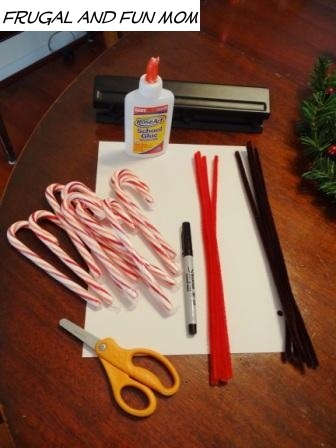 Would be wonderful for the kids to hand out at holiday parties, will have to keep this in mind! Those are super cute. We used to make them in my elementary school classroom each year. I want to share this with my son's teachers. This is perfect for his age! Lol, these are adorable. I wasn't expecting them to be so cute when I scrolled down but they sure are. My boys would love making these and I would love having them up on display in the house. 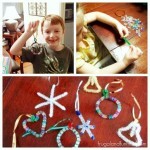 Those are so cute and what fun to make a whole herd of them to help decorate for the holiday.